Contact Loan Consultant for customized QUOTE. You can also run your scenario in our online PRICING ENGINE. *Rates change daily. Conforming interest rate samples based off $260,000 loan amount, 80% Loan to Value, 740 or higher FICO score, with impounds on a 30 day rate lock period and $895 underwriting fee if not covered by lender rebates. FHA based off 3.5% down payment, but other same variables. Costs or credits shown pertain to interest rate and do not include any other applicable 3rd party title and escrow charges or prepaid tax and insurance reserves which may or may not apply. Lock period suggested depends on current loan volume and lending climate at time of loan application and approval. Other risk-based pricing adjustment may apply. The displayed annual percentage rates (APRs) include total points and additional prepaid finance charges but do not include other closing costs. On adjustable-rate loans, rates are subject to increase over the life of the loan. Learn more about assumptions and APR Information. Loan pricing may only be locked through a home loan consultant to be effective. Rates will depend in part on your unique credit history and transaction characteristics. Please email or call for updated pricing at anytime as rates and pricing are subject to change. This information does not constitute a loan commitment or approval. Wednesday’s bond market has opened in positive territory despite a lack of factual economic data this morning. The stock markets are calm again with the Dow up 10 points and the Nasdaq nearly unchanged. 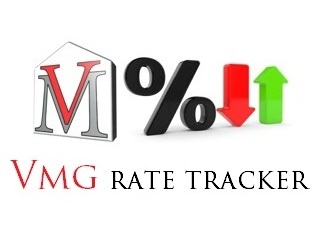 The bond market is currently up 6/32 (2.27%), but due to weakness late yesterday, we likely will see little change in this morning’s mortgage rates if comparing to Tuesday’s morning pricing. 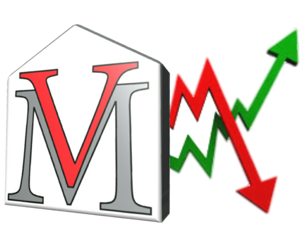 If I were considering financing/refinancing a home, I would…. Lock if my closing was taking place within 7 days… Lock if my closing was taking place between 8 and 20 days… Lock if my closing was taking place between 21 and 60 days… Float if my closing was taking place over 60 days from now… This is only my opinion of what I would do if I were financing a home. It is only an opinion and cannot be guaranteed to be in the best interest of all/any other borrowers. Harris Consulting, Inc. DBA Vantage Mortgage Group, Inc.